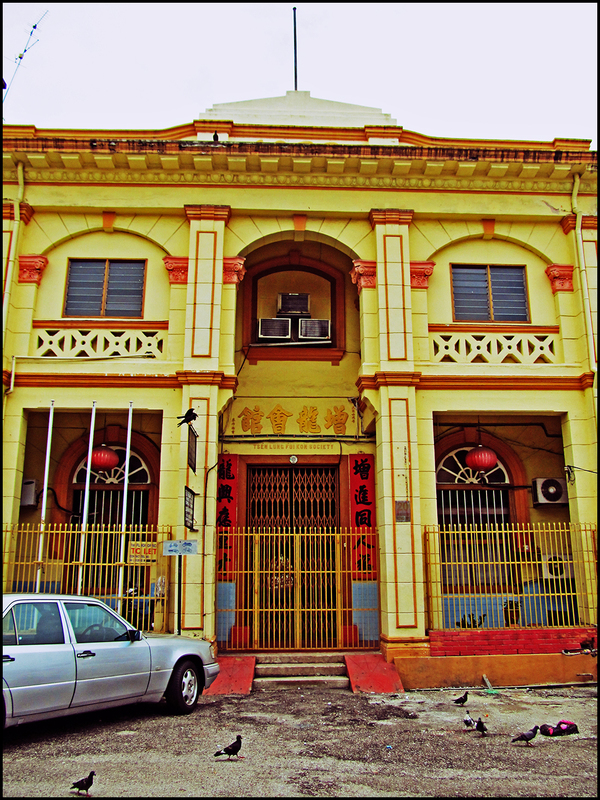 The Yeoh Kongsi clan association and temple located at the intersection of Chulia Street Ghaut and Victoria Street, George Town. 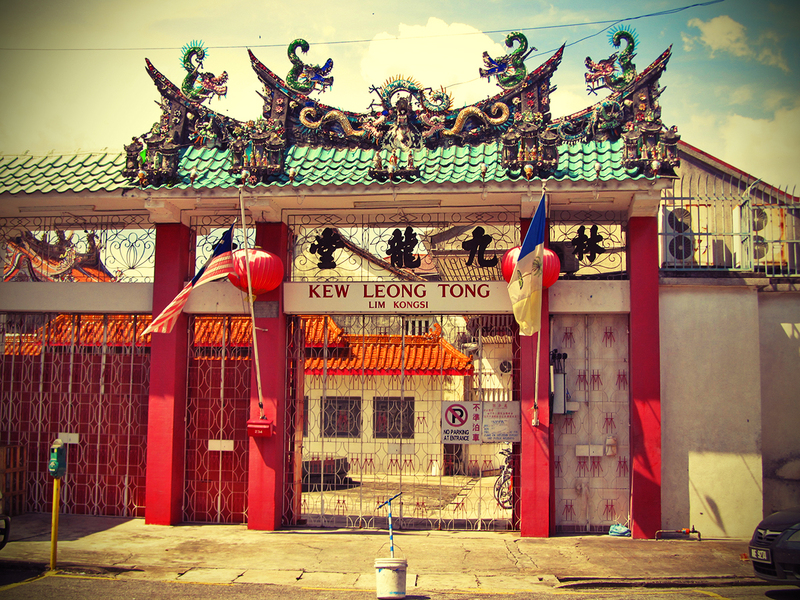 The official name of the “Kongsi” is Har Yang Sit Teik Tong Yeoh Kongsi, and it is is a Hokkien clan association for the Yeoh surnamed descendants. 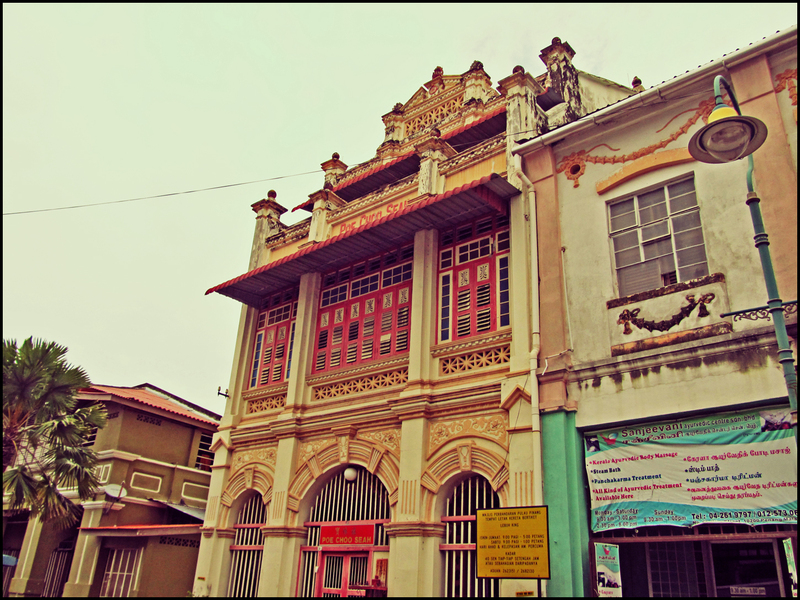 A wall that separates two clan houses in George Town’s heritage zone, the Cheah Kongsi at Armenian Street and the Lim Kongsi at Ah Quee Street. 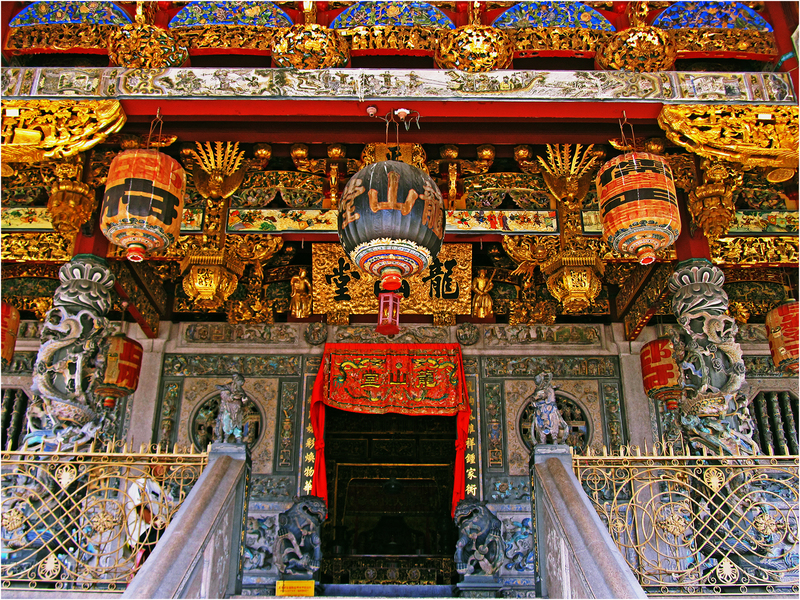 Intricately decorated front entrance of the Khoo Kongsi clan temple in George Town. 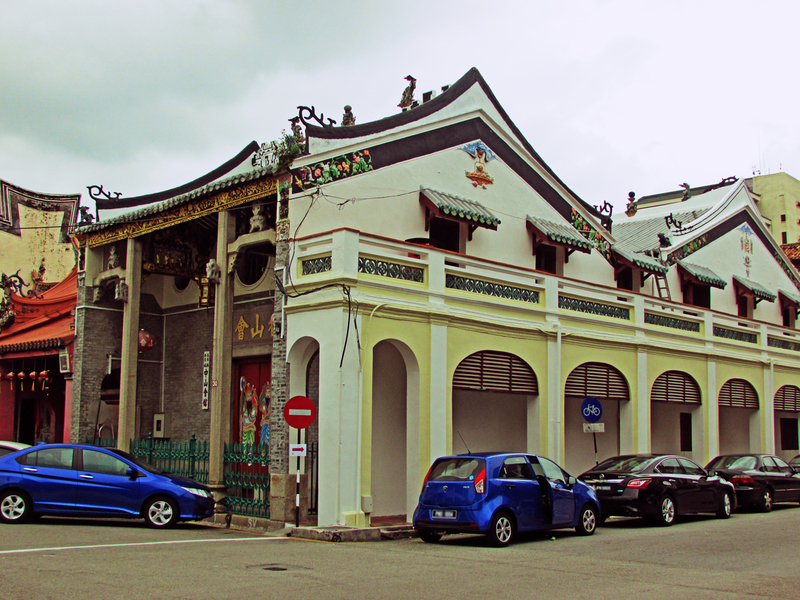 The various minor Chinese clan houses and associations in King Street, George Town. 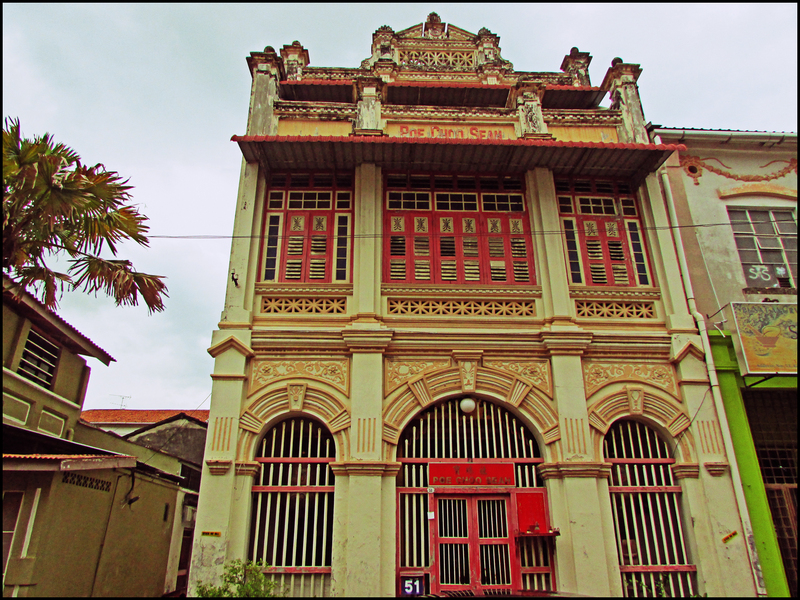 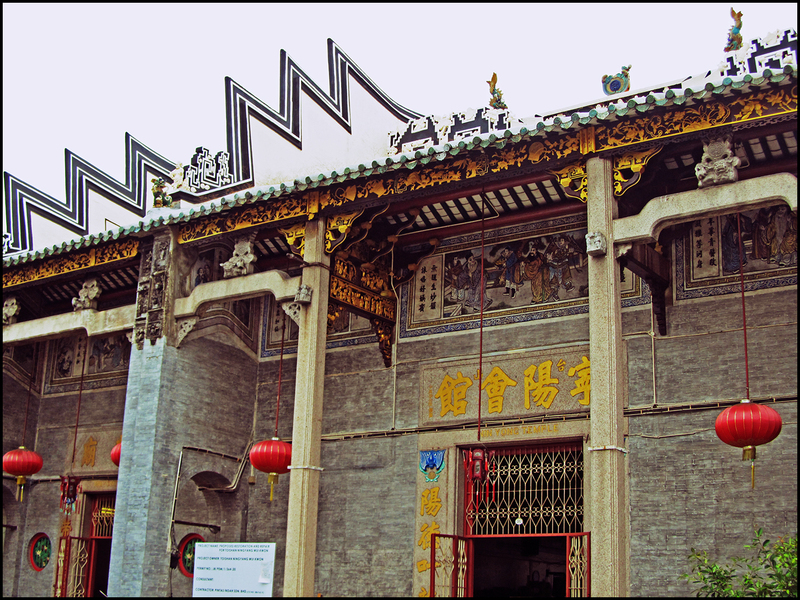 Chin Si Thoong Soo which was built in 1914 and incorporating Cantonese Straits Eclectic style, is a Chin clan association building. 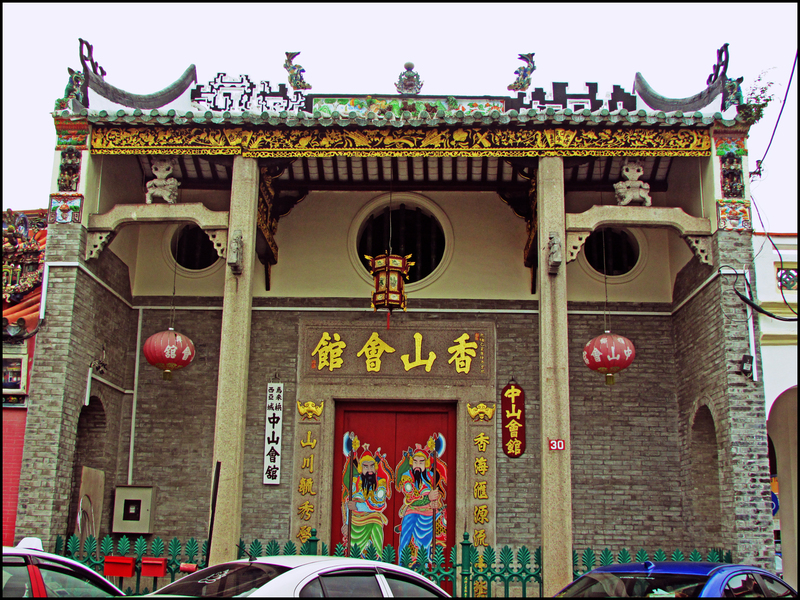 Chong San Wooi Koon is a Cantonese district association that represents the Cantonese clansmen from Guangdong Province in southern China. 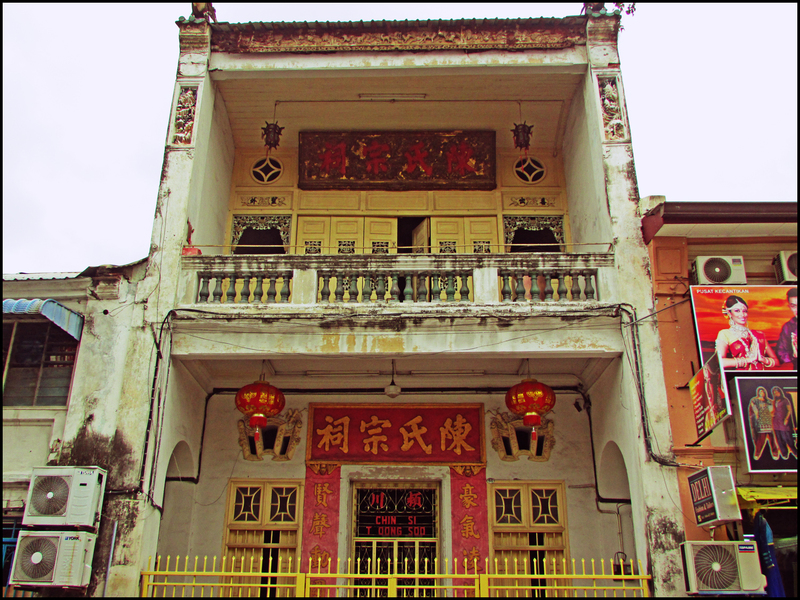 Kar Yin Fee Kuan (Kar Yin Association) is a Hakka district association founded in early 1800s that represents the clansmen from the Kar Yin District of Guangdong Province in southern China. 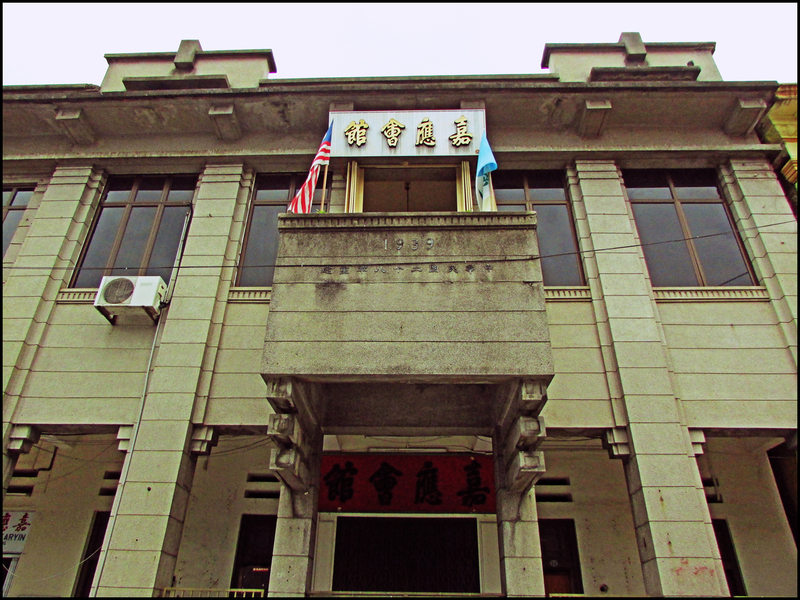 Tseng Lung Fui Kon is another Hakka district association for Hakka people from the Tseng Lung district of Guangdong Province in southern China and is located next to Kar Yin Association. 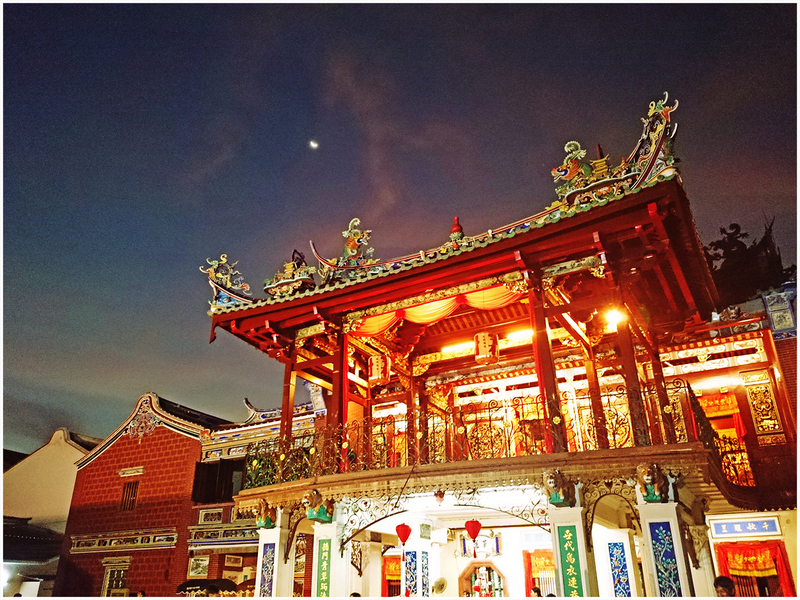 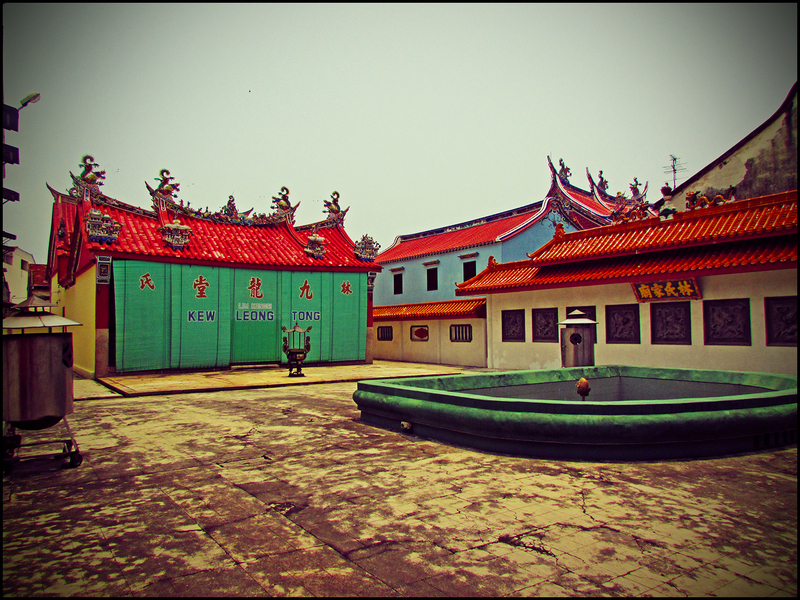 Koo Saing Wooi Koon is a combined clan temple for people of the surname Lau, Kuan, Teoh and Teo. 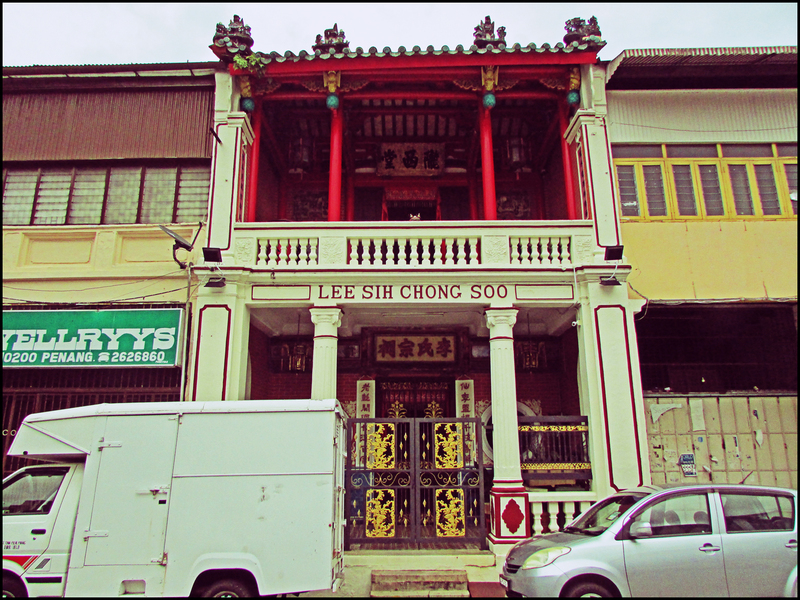 Lee Sih Chong Soo (or also known as Lee Kongsi), is the clan association for the Chinese surnamed Lee. 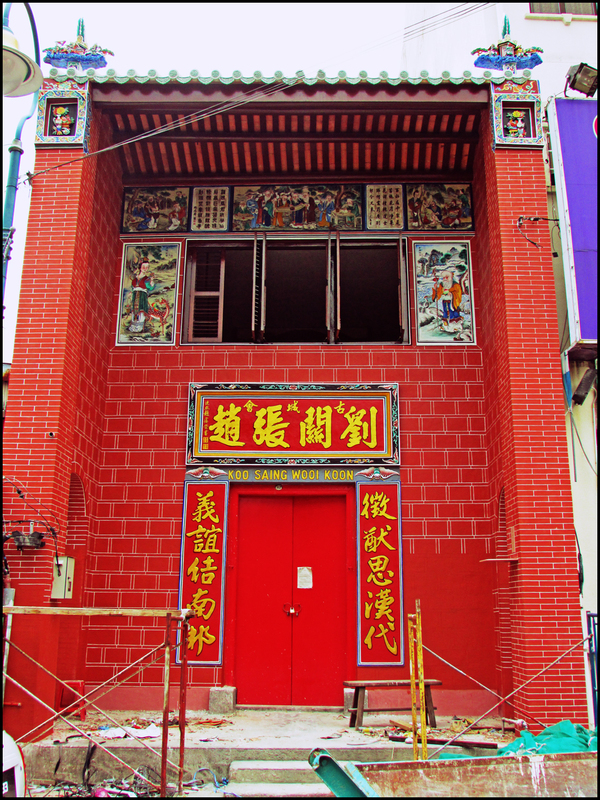 The Ng Kongsi is a clan association for the Cantonese people surnamed Ng. 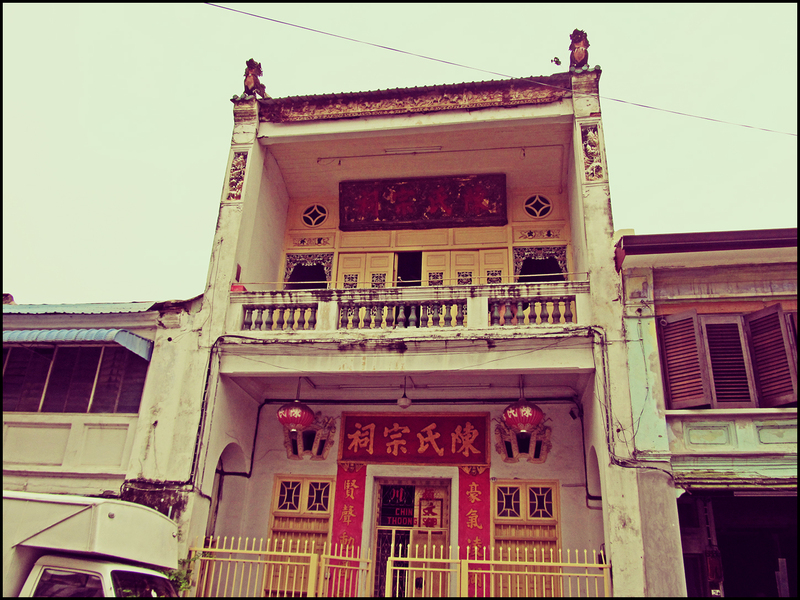 Poe Choo Seah is an association for Straits-born Chinese, the Baba Nyonyas which was built in early 1900s incorporating the Straits Eclectic style. 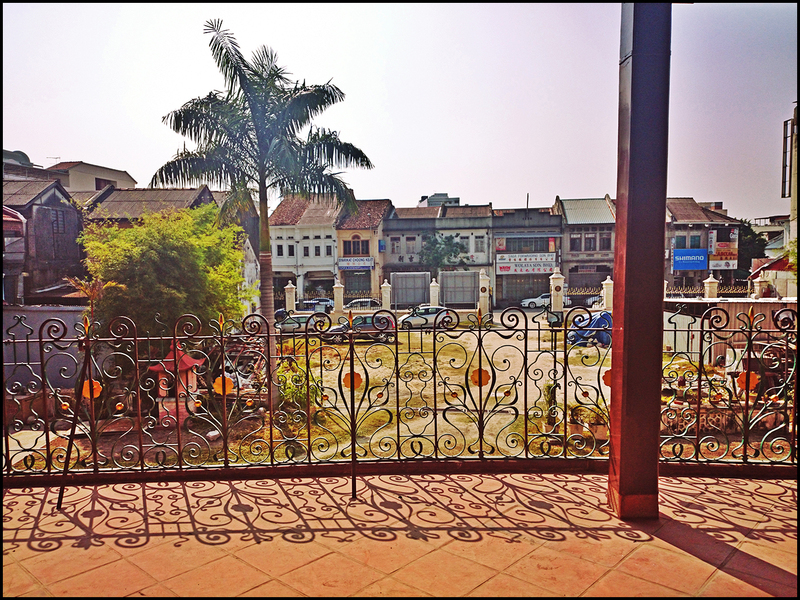 View from the Cheah Kongsi temple balcony, facing Beach Street in George Town. 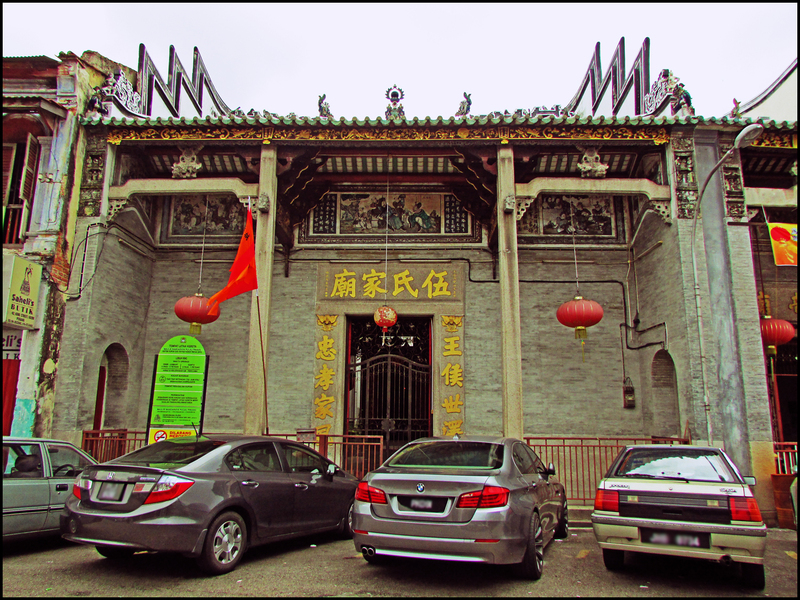 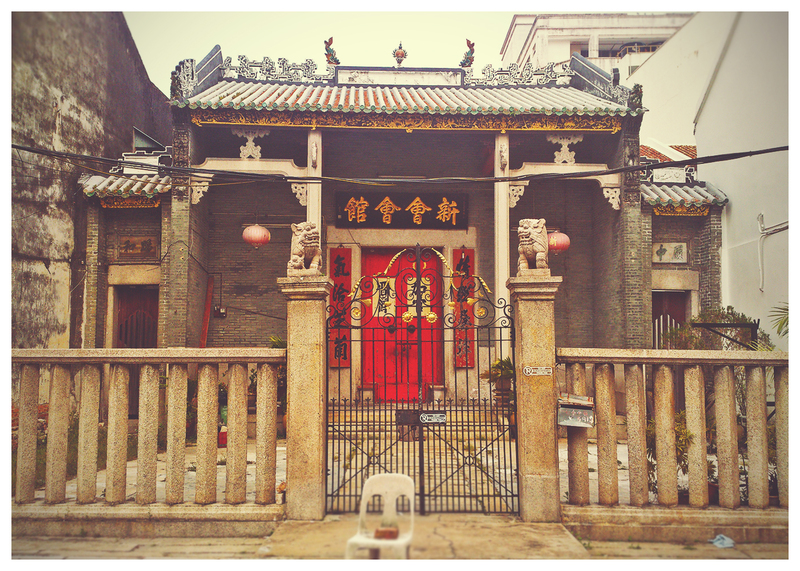 Cheah Kongsi clan temple, Armenian Street, George Town.